Laramie City grew very quickly, becoming a major town in southeastern Wyoming. The only town larger than Laramie at this time was Cheyenne. Above is a drawing of the town in 1875. 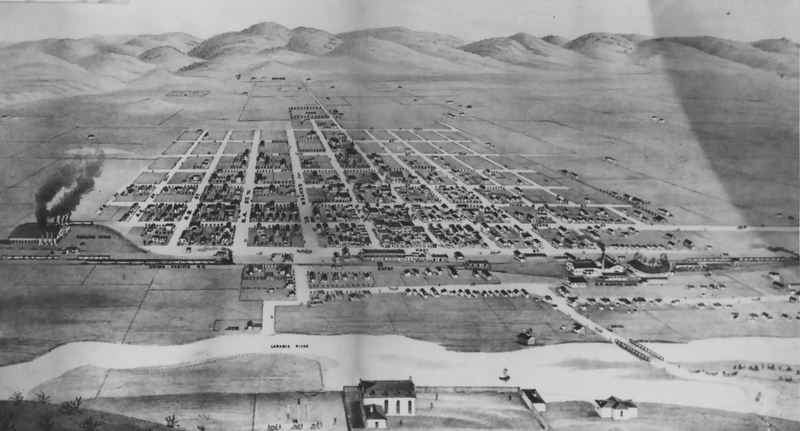 Compare it to the 1870 drawing and you can see the growth that was rapidly occurring.